(The Little Cuckoo) The lyrics and chords fit Siwsann George’s version from her album ‚Traditional Songs of Wales / Caneuon Traddodiadol Cymru’. Use capo on the 5th fret. 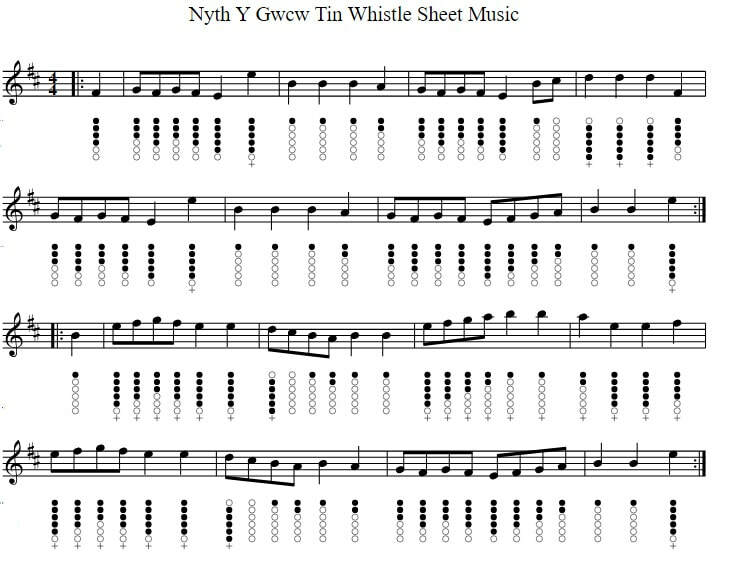 The sheet music notes for tin whistle are included.